1. Software vendor, which is the publisher and / or creator of the software which is protected by our system. 2. 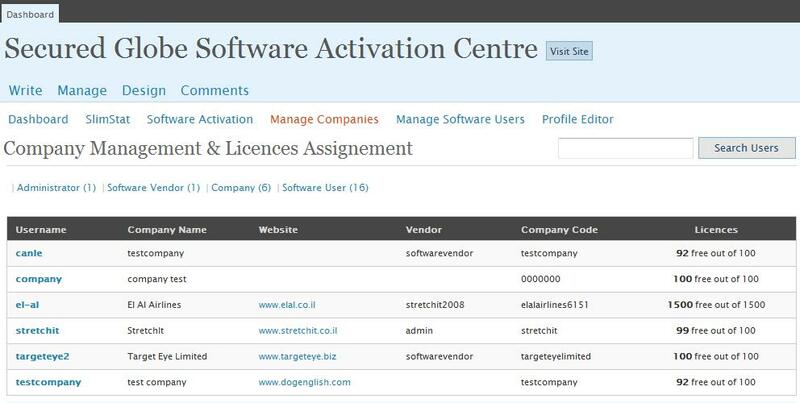 Company, which is the organisation which bought licenses to be used by their employees, or in some cases, there is no “company” but the software vendor sells directly to the end user. 3. Employee, which is usually the end user, who is using a license taken from the pool of licenses purchased by the Company he / she is working for. In other cases, there will not be an “Employee” but an end user who bought the license directly. We are now working on integration with e-shops of all kind, and will update you shortly.